So what do you do when you wake up at 3:30 in the morning and can’t go back to sleep? Well staying in bed does sound relaxing but if your mind immediately starts over thinking (especially about why you can’t go back to sleep) then out of bed it is . . . and straight into the kitchen to get started on whatever baking or cooking you want to do. 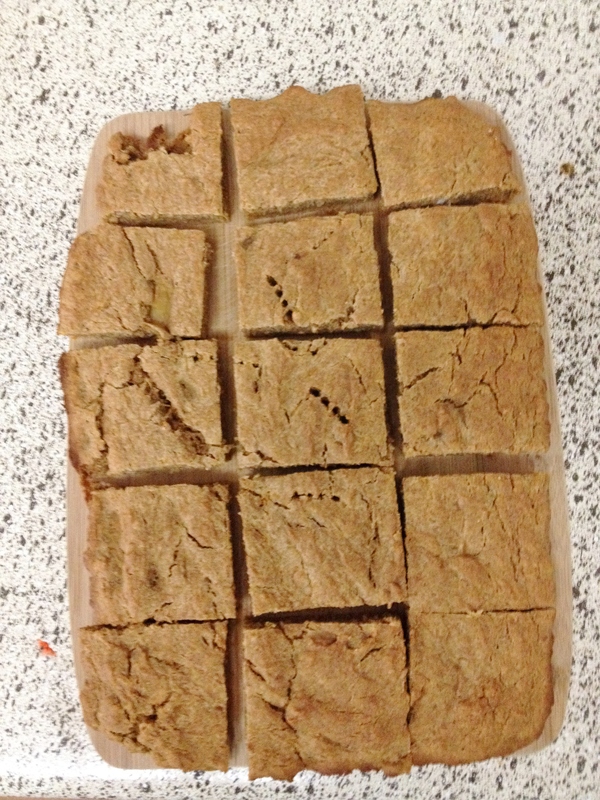 Here are my Butternut Squash Brownies. 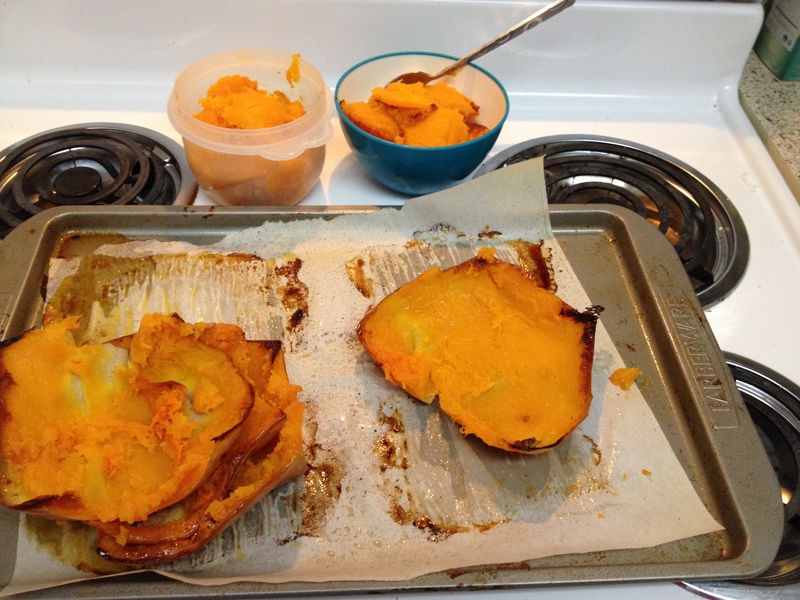 Well, I did wait until 4:30 to get out of bed, then 5am to start the butternut squash cooking. And let me just say, sometimes I impress myself. I get so worked up over something and how it might taste, or the texture may be weird, or it won’t cook or come out right. But then it’s all for naught. Because it does taste good and the texture was fine and it wasn’t hard to cook. 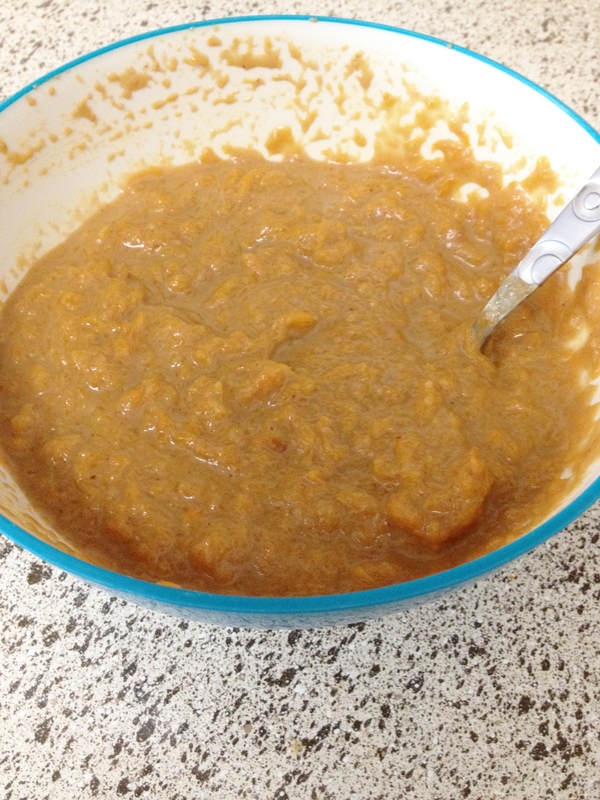 And even better was that cooking the butternut squash was not as difficult as I blew it up to be in my head! First I had gone looking for directions and found The Shiksa in the Kitchen and she breaks down how to pick out and cook the squash. Reading through her long post made it less intimidating. And, the whole process was pretty much exactly how to cut and cook a spaghetti squash, and the best tip on her site was about microwaving it first to soften before cutting. Genius! So the rest of the process was no different than making a cake or cookies. Just tossing in your flour, this time I used a mix of GF All Purpose flour and Oat flour, and spices. The different part was the wet. 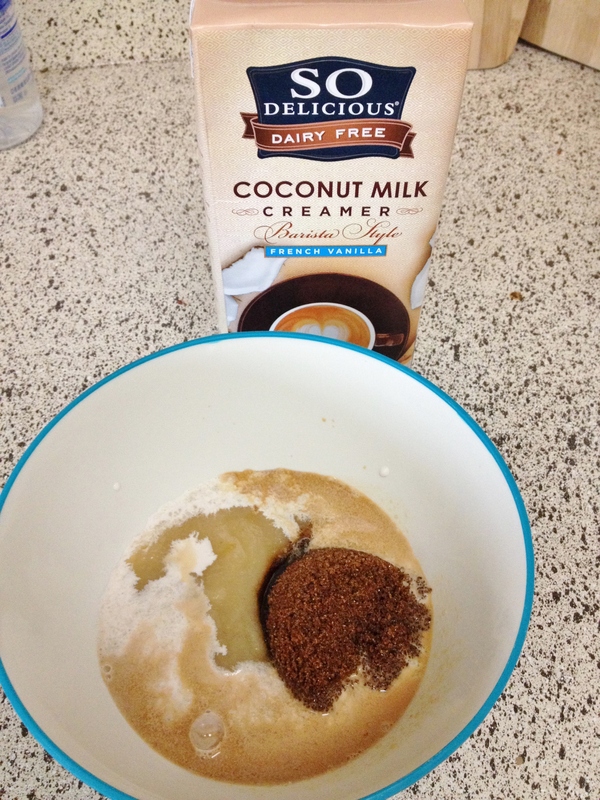 I used So Delicious Coconut Milk French Vanilla Creamer for extra flavor, and for sweetness I used organic dark brown sugar. Mix it all up and pour in your non-stick sprayed baking pan. Bake at 350 degrees for an hour. 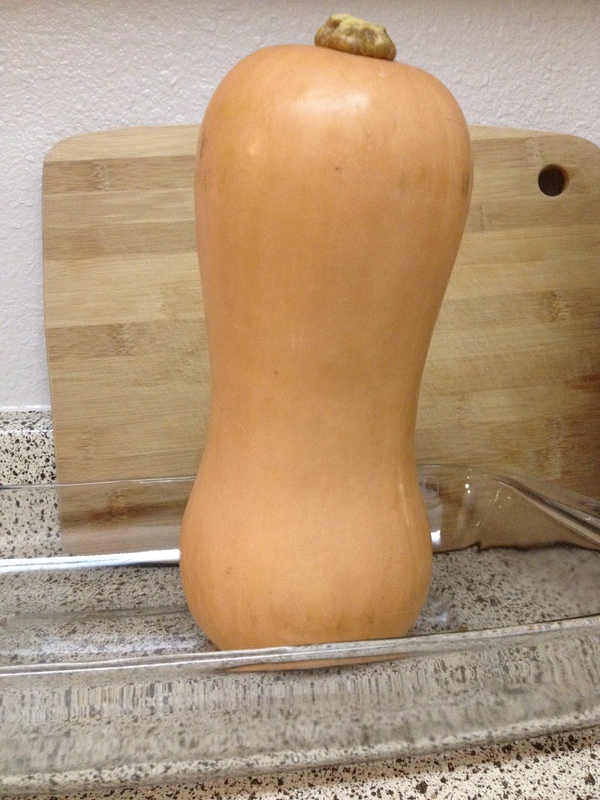 It takes longer because of the butternut squash. This turned out moist and with just the right amount of sweetness. 1. 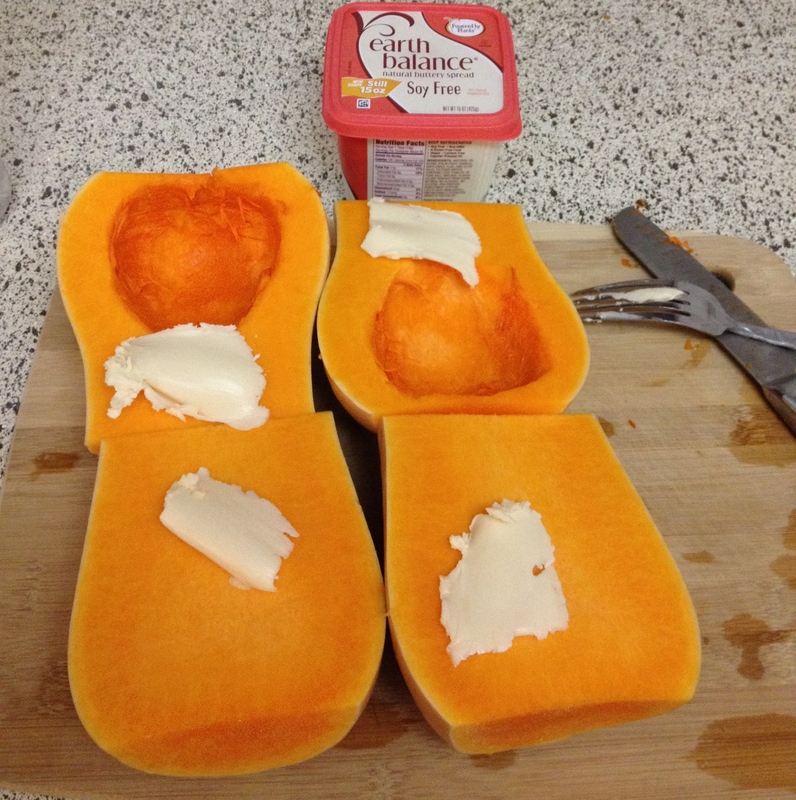 Soften squash by poking holes in squash and microwave for 30 seconds at a time for two minutes. Cut top and bottom off squash, cut in half then scoop out seeds. 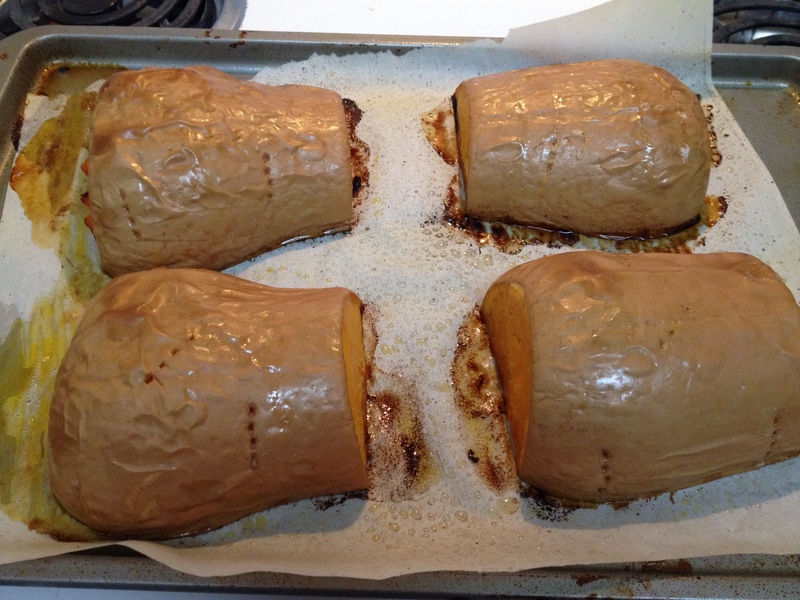 Rub with butter and bake at 400 for 45 minutes. 2. 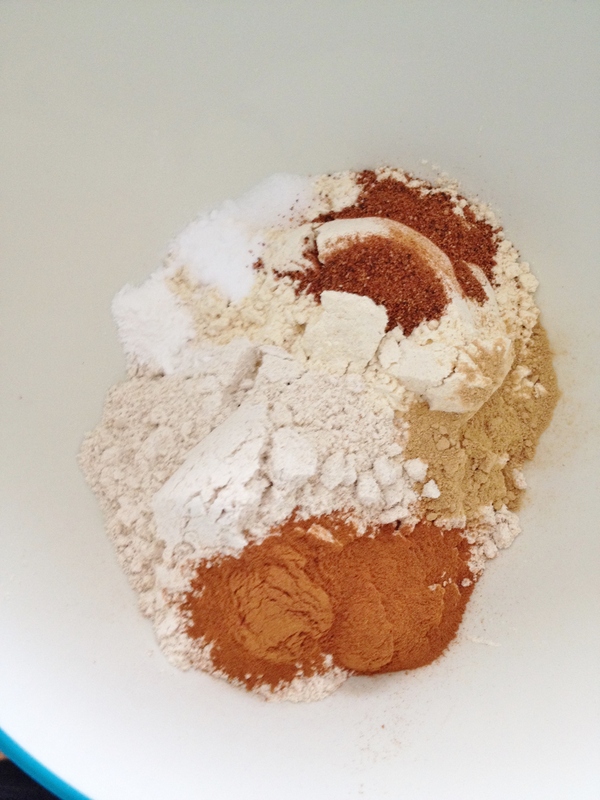 Mix flours, spices, salt and baking soda in bowl. 3. In smaller bowl mix creamer, applesauce and brown sugar. 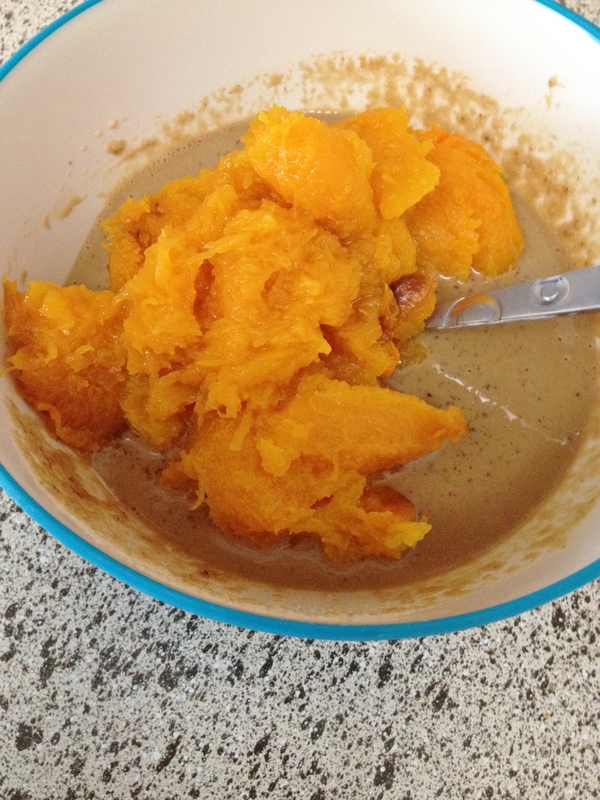 Add in squash and blend together. 4. 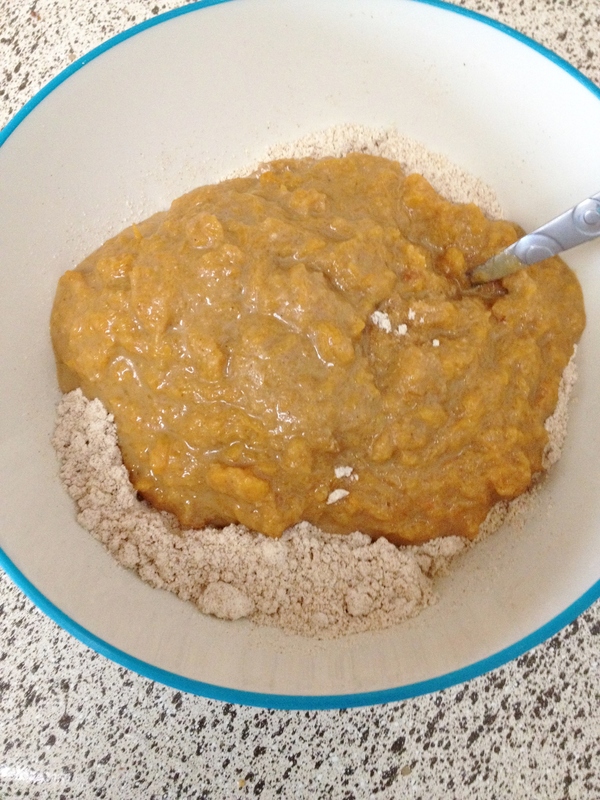 Make a well in the dry ingredients and pour in wet. Mix well. 5. Pour wet ingredients into baking pan. Be sure to spray with non-stick spray. 6. Bake brownies at 350 degrees for 60 minutes. 7. Let cool 10ish minutes then dump on to rack. 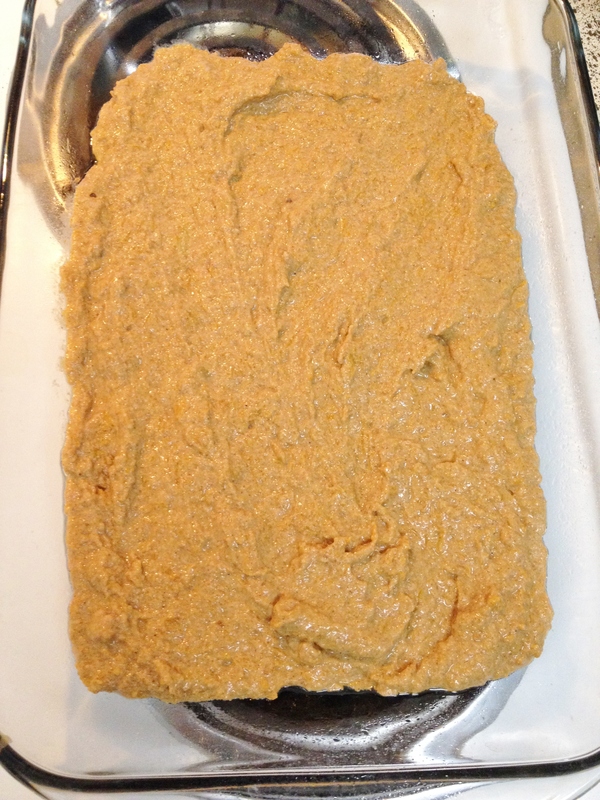 This recipe was entered in the So Delicious Dairy Free 3 Course Recipe Contest and is perfect with godairyfree.org. Shut the front door. 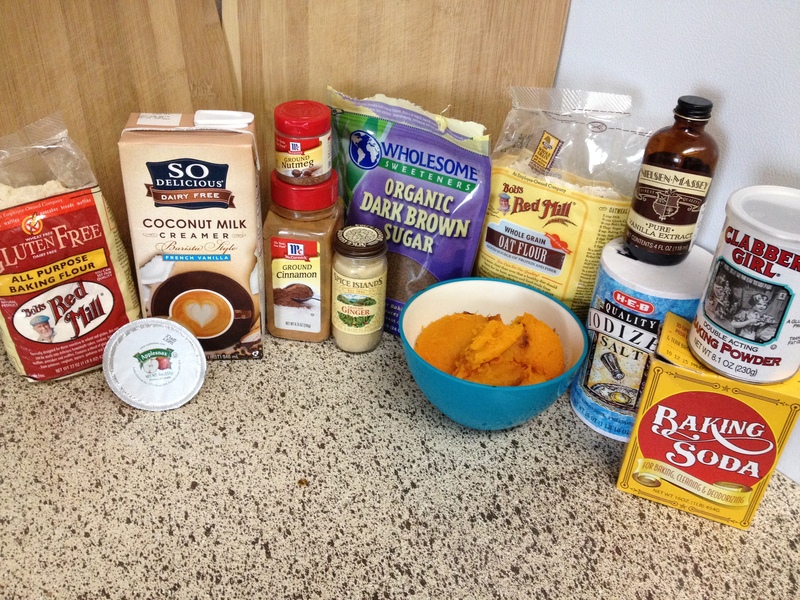 Butternut squash brownies? I am making these today, even if I have the brave the blizzard to get the ingredients! Amazing. 🙂 I was nervous about the squash, but this turned out good!! Very proud of myself – but don’t get frost bite to make these. 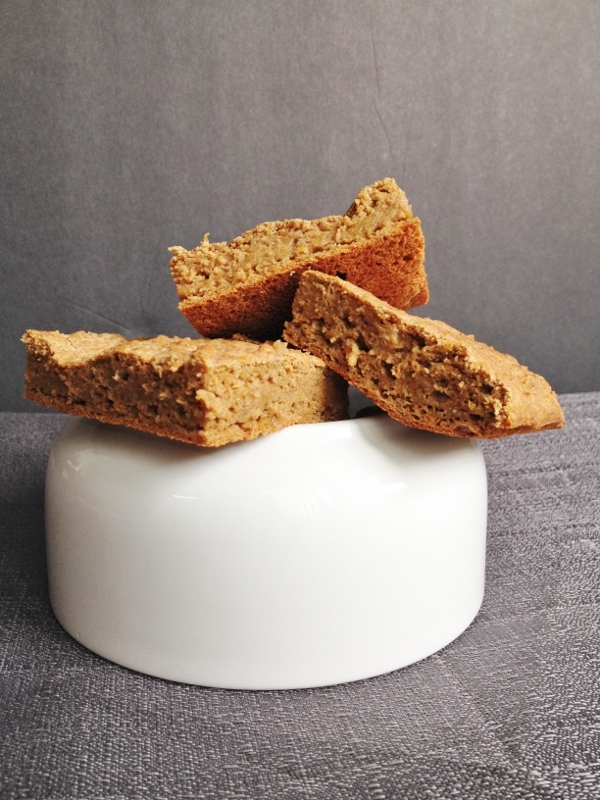 Blondies is probably more accurate than brownies, but either way these turned out great. Love learning how to hide the veggies in the sweets! Oh these sound fabulous! Hope you’ll make me some ….